In 2016, we began working with Rising Tide Conservation to help develop marine ornamental aquaculture techniques that can be used to support the aquarium industry. Aquaculture is a sustainable alternative to wild collection, which can stress wild fish populations and coral reefs. 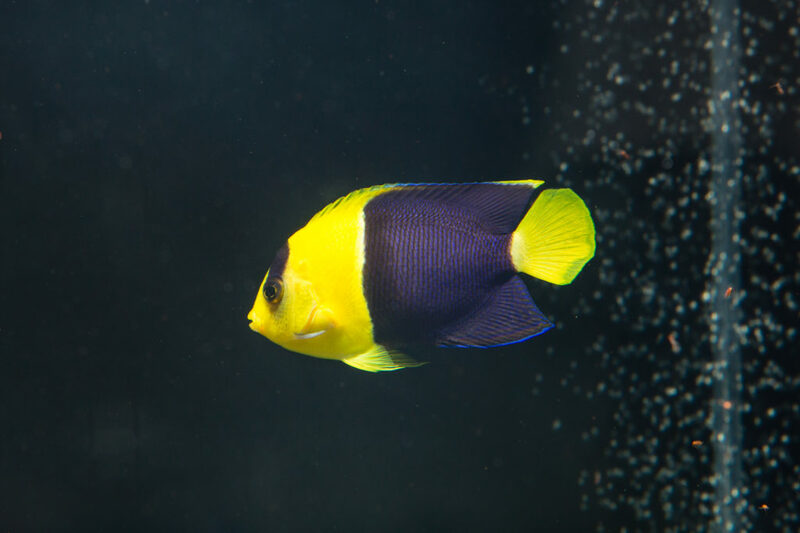 At HWSRI, the ornamental species we’re working on include the flame angelfish (Centropyge loricula), bicolor angelfish (Centropyge bicolor), and Helfrich’s Firefish (Nemateleotris helfrichi), which were graciously donated by Quality Marine. Our researchers have experience with flame angels, and many other ornamental species, and we are excited to tackle marine ornamentals alongside our white seabass, yellowtail, and halibut! To learn more about Rising Tide Conservation program, visit www.risingtideconservation.org.